More "firsts" to us, but perhaps useless information to you, as we travel across Wisconsin. Sights and information seldom shared by those on a full time RV journey--attempt to enjoy. 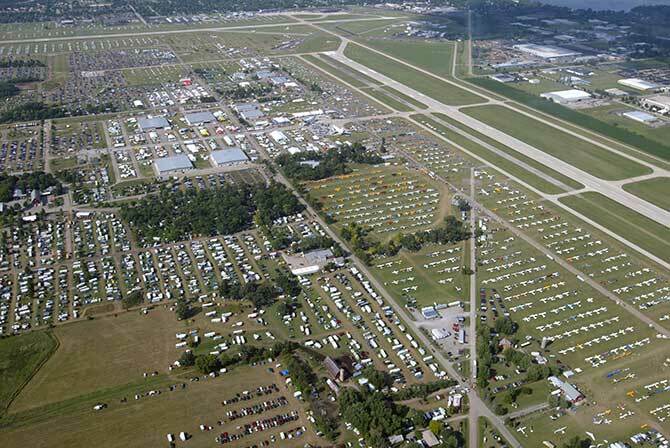 Bucket list item--C H E C K. Blessed to be able to join our oldest son who drove up to join me at the EAA Airventure in Oshkosh, WI. This airport becomes the world's busiest control tower during the gathering with about 15,000 aircraft arriving and over 1/2 million folks in attendance. And campers out the ying yang! Our first Christmas in July. Since every campground in Wisconsin is buried in snow come December, why not celebrate mid-Summer. Of course, with temps hovering at 90 degrees and 70% humidity, I would conclude we had an underpaid Santa Claus. I cherish when we come across a "new to us" campground rule. A mandate without a stated consequence---hummm. Perhaps the eco-police will send me to the Mattel Penitentiary where the Tin Man will be my guard and provide me with recycled toilet paper. Our bike ride always lead us to an interesting sight. I have a feeling school property tax payers were not impressed with the downgrade. Sad to announce, this campground site did not win "RV Yard of the Month. Hoping to see a phone number as I do believe we have a clothing piece to donate to the society. 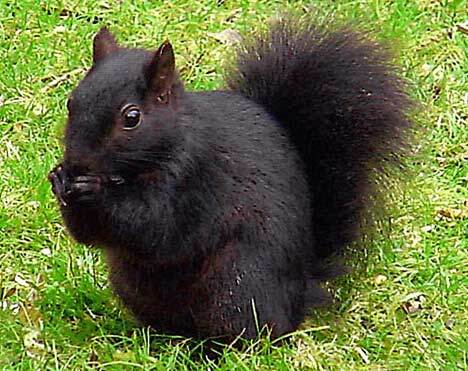 Wow, my first sighting of a Black at a campground. Before you dispatch the Federal Bureau of Insensitivity, why is it that such few African-Americans join the RV lifestyle? It is nice to see them recognizing this themselves forming a website here discussing the issue and promoting the outdoors. Come join us! As full-time RV'ers, my wife informed me she could not seem to find the time to hand-mix. You know---2 loads of laundry a week, cleaning 300 sq. feet of living, interneting, knitting, I-phone games, walking, cycling, swimming, reading, napping---yes, the time-thieves of this lifestyle. So, we broke down and dug deep into the wallet and handed over $2.11 picking up this 40 year old Hamilton Beach mixer at the local antique shop. If it doesn't work, I believe there is a historical society in town that will take it off our hands. Well, after a smart-aleck comment about the electric mixer, I have been punished and assigned meal preparation 2 nights a week in the RV kitchen. I brought my "A-game" to the first meal. Hey, it' Wisconsin--had to go with cheesy. It does need a mixer, right? And based upon the reaction on my wife's face when I asked her what she thought, I believe my sentence to chef duties has been communed. Day #111--this concludes our visit to the gorgeous state of Wisconsin. Off to an overnight in Illinois, as we have to drift south as we couldn't afford the $500 ferry fee across Lake Michigan. After one night there, due east to northern Indiana, Amish country. I look forward to the visit and if you follow this blog you know I am not a book reader, but I do look forward to reviewing the 2 shortest books in the entire Library of Congress--"Trending Hairstyles of the Amish" and "Amish War Heroes". Ahh yes, the folks who all started camping! And never left. We're going to be camping next month. Can anyone give me tips on things you would normally forget to pack so I'm well prepared. There's going to be water parks, and rides, plus the traditional camping stuff like fishing. We're going to be staying in tents, not a cabin or RV so we won't be needing any kitchen stuff I don't think. Any ideas would be great, thanks! Google "Camping Checklist", several options. Maybe not, but you guys are having a heck of a tour. Kudos!